The Vegan Mouse: Breakfast for One and Soup. This morning I woke up and made the diner home fries from Isa Chandra Moskowitz's Vegan Brunch again because they were so amazing yesterday. 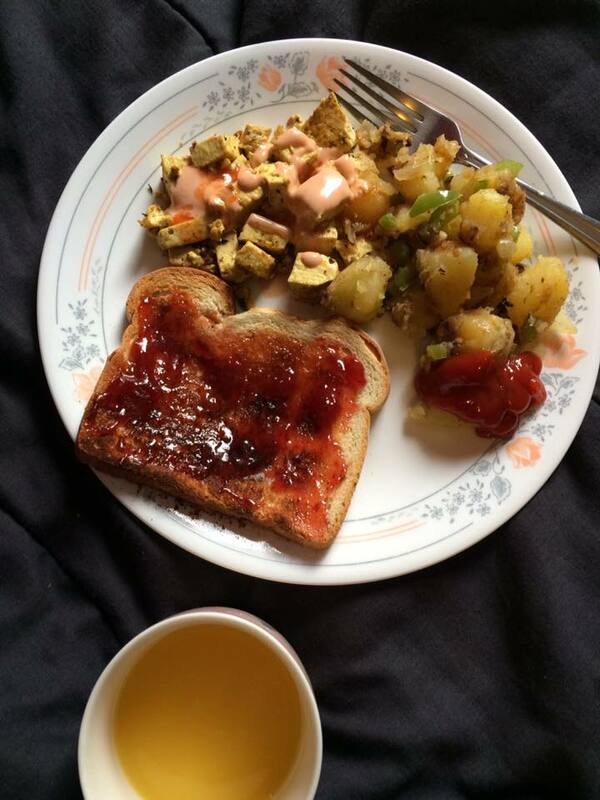 And to go with it, I made the tofu scramble from Vegan Brunch. Normally I make mine pretty plain-ish with tofu sauteed with onions and some salt, pepper, turmeric and maybe garlic and onion powder. The recipe from VB calls for fresh garlic, cumin, thyme, turmeric and nutritional yeast. These flavors were surprisingly good in the scramble. I wasn't sure about the cumin at first but it worked and gave a nice kind of smokiness. I served with Vegenaise/ketchup sauce. 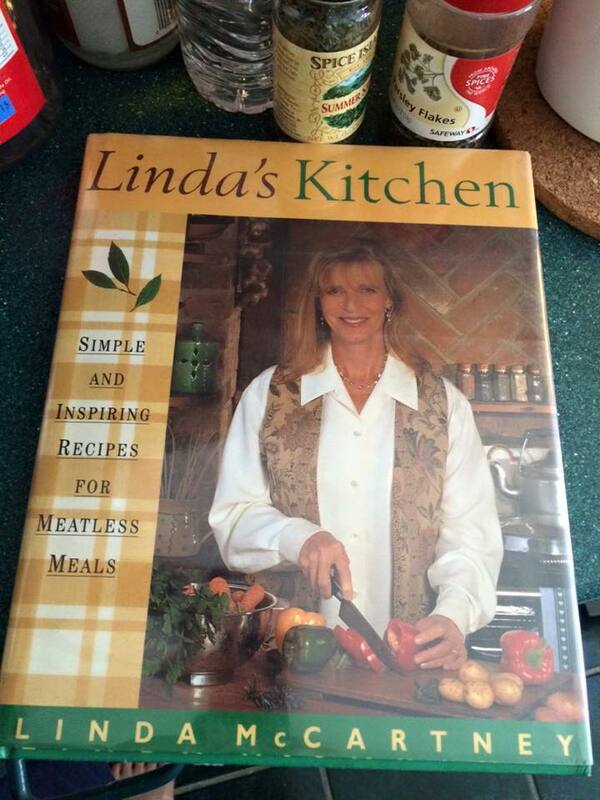 I love Linda Mc's book "Linda's Kitchen". It's out of print now but you can probably find it on amazon marketplace selling for less than a fiver. I have a handful of recipes that I turn to again and again. 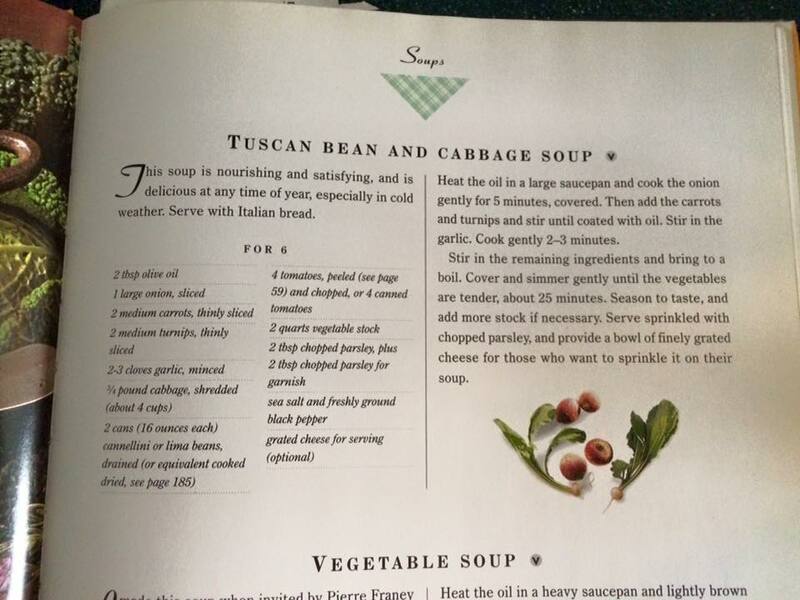 This soup is one of them. You must try it! 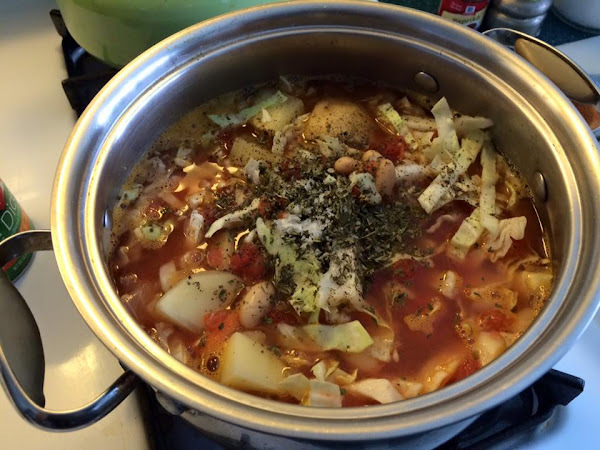 Here is the soup ready to simmer away. I substituted potato for turnip and seasoned with Maldon salt, freshly cracked black pepper and summer savory. Such a good soup.